This could be my new level of Caricature illustration in 3D form! I design and hand made these for TOTEM RESOLVE, Canadian based urban creative agency. 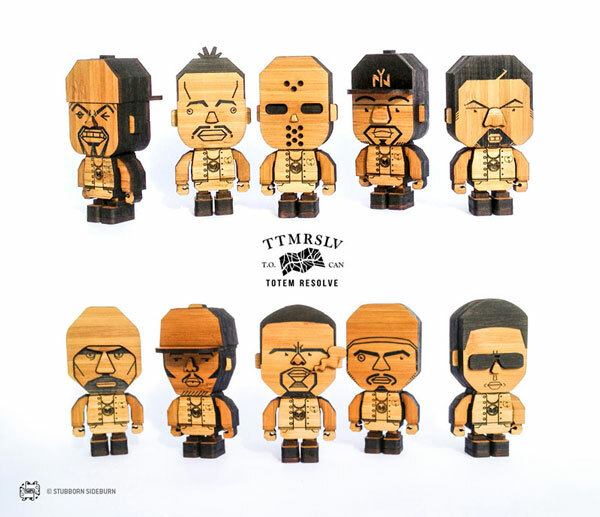 These toys are going to be exhibited for Totem Resolve promotional event, The project will strictly be a promotional art piece to showcase different ways to combine art, urban arts, and nature (hence the wood) together.